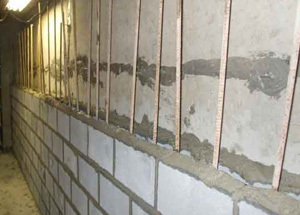 Over the last 20 years, the use of Carbon Fiber reinforcement has steadily increased in the commercial and residential structural repair industries. 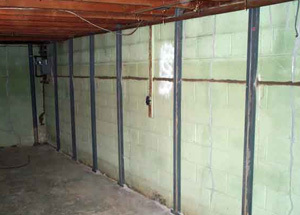 Basement walls can be repaired quickly with the combination of high quality epoxy and durable carbon fiber straps. Our experienced project estimators can tell you if Carbon Fiber best fits your situation. 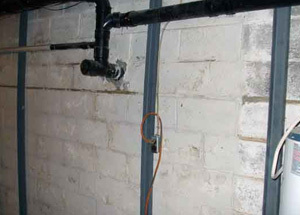 Keystone Foundation Repair has installed thousands of Carbon Fiber straps. 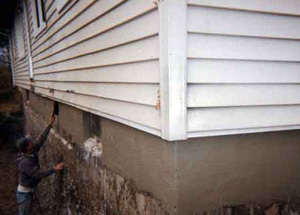 This foundation wall on the garage end of the house was backfilled almost to the top of the wall. 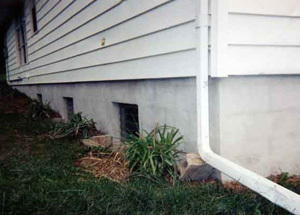 The inside fill was five feet higher than the outside. This is called unbalanced fill. 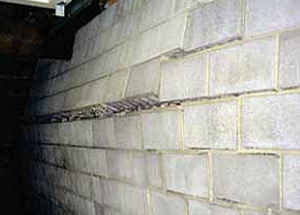 The pressure from the unbalanced fill caused the corner to crack and separated the wall from the house. 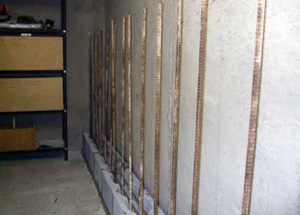 Helical Tie-Backs were chosen to reinforce the wall. 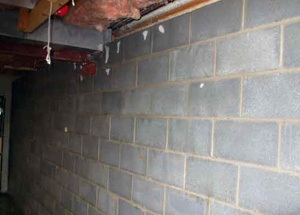 Holes were drilled at each Tie-Back location. The lead section of the Tie-Back is like a giant screw. 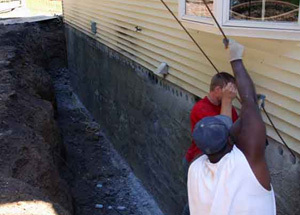 A powerful hydraulic motor is attached to a mini-excavator or skid loader. 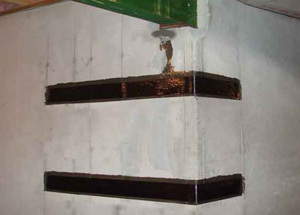 This machine screws the anchor into the earth in a downward angle until it is secured into a stable layer of earth. 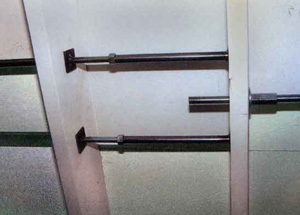 Extensions are added to the Tie-Backs as needed. 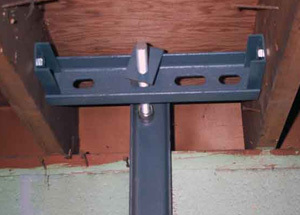 Steel plates attach to the Tie-Backs and are tightened. 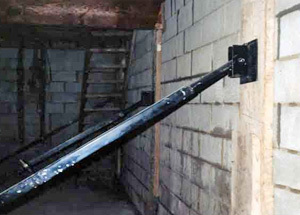 The additional support from the Tie-Backs will permanently hold the wall. 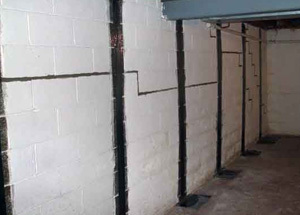 Keystone Foundation Repair utilizes the Superior Wall Brace System. 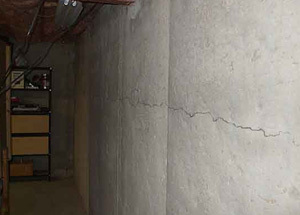 Keystone Foundation Repair constructs reinforcing walls and completely replace walls that are beyond repair or that have already collapsed. 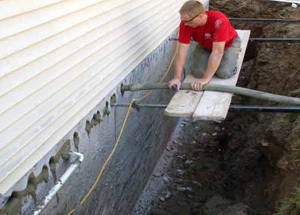 Our staff of experienced masons are ready to help you with your foundation and wall problem. 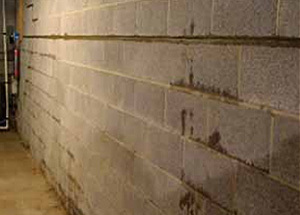 Other foundation repair and basement waterproofing companies rely on subcontractors to complete these types of projects.